Living in Burbank apartments for rent puts you close to the action on July 21, 2018, which is a Saturday for those interested. What makes this day so special? 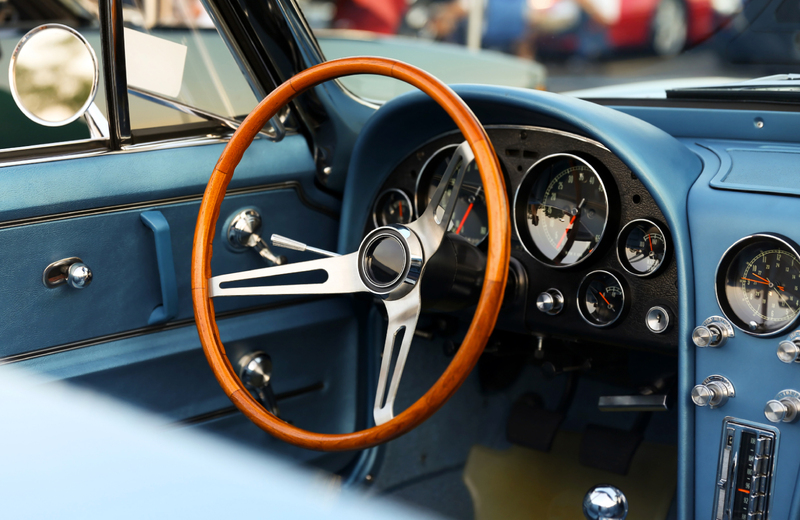 It’s the date of the 25th Annual Glendale Cruise Night, and because of this major milestone, you can bet your bottom dollar that it’s going to be a spectacular evening filled with gorgeous cars, great music, and lots of wonderful companionship. Have you ever thought about going to a classic car show but never actually took the plunge? Maybe you’re intimidated by such a large event. Or maybe you just don’t feel like you belong in this particular crowd. Guess what? It’s time to step outside of yourself and expand your horizons. It’s time to go to this classic car show, have a great time, enjoy the music and other festivities, and even get to know some new people. Who knows? You may even end up making a few friends, which is more precious than you can possibly imagine. So, if classic cars, live music, and fireworks happen to be your thing, then it’s definitely in your best interest to go to the Glendale Cruise Night on July 21 of this year. By the way, it’s free to get it in so it’s also going to be an inexpensive way to spend the evening as well, which is definitely a good thing for many of us. What Can I Expect at the 25th Annual Glendale Cruise Night? At the 25th Anniversary Cruise Night, you are in for a wonderful treat in the heart of downtown Glendale on Brand Boulevard beginning at 5:30 PM and ending after 10:30 PM on July 21. There is going to be a number of different things going on that may attract you to this exciting extravaganza. For starters, the entire event is going to be hosted by Mr. Rock ‘n Roll himself, radio legend Brian Beirne, which definitely brings an added level of excitement to a night that you’ll never soon forget. Plus, there’s going to be the height of the event which is the car show, which is going to showcase some of the most gorgeous muscle cars and older vehicles that you’ve ever seen. But the fun doesn’t end there. There are also going to be three live musical acts in attendance throughout the night, which we will tell you about more below. And at the end of the event, they will also hold a fireworks spectacular, which is going to be lots of fun for you, your friends, your family, and anyone else who may be in attendance with you. So that’s the basic gist of what you can expect to happen on the 25th Anniversary Glendale Cruise Night this year. Definitely make time to attend this wonderful event if you enjoy looking at beautiful classic cars, love listening to live music, and want to cap your night off with a fireworks extravaganza like you’ve never seen before. The main event of the evening is going to be completely focused on the car show. In total, they are going to allow as many as 450 classic cars to enter into this event. Each of the classic cars and motorcycles had to be released prior to 1980, which should give you an idea of the era of vehicles that you can expect to see while here. The best part about this event is that it lasts for five hours. You can begin looking at the classic cars from 5:30 PM all the way up until 10:30 PM. At 8:30 PM, the judges are going to begin awarding trophies. This year Kent McCord from the old TV police procedural Adam 12 is going to be the celebrity judge in attendance. They are going to award trophies to the winners and everybody is going to have a whole lot of fun. As mentioned a couple of times already, there is going to be live music throughout the evening during this event. And the best part is they really have some excellent bands and musical groups that are going to be in attendance playing some your favorite songs from many decades ago. Starting off the live musical festivities is the band WhosNext. This is a The Who cover band that will be playing live music from 5:30 PM to 6:45 PM on July 21. They are going to give everyone in attendance a The Who experience like they’ve never imagined possible. From 7 PM to 8:30 PM, Motown Magic will take the main stage. As you can imagine, they are going to be playing some of the best Motown hits from the 50s, 60s, and 70s. They are even going to do an amazing rendition of My Girl, which is obviously a huge Motown hit. From 9 PM to 10:30 PM, you will be graced by the musical stylings of the Rolling Stones cover band Jumping Jack Flash. It will come as no surprise that they are going to play many of the best Rolling Stone hits that you’ve come to know and love throughout the years. They sound amazing, which shouldn’t really shock anyone, and they’ll even be doing their famous cover of the outstanding hit Satisfaction. At 10:30 PM, they are going to have a fireworks finale at the main stage. So you’ll have a chance to see an exciting fireworks display in the gorgeous summer sky in Glendale, CA.